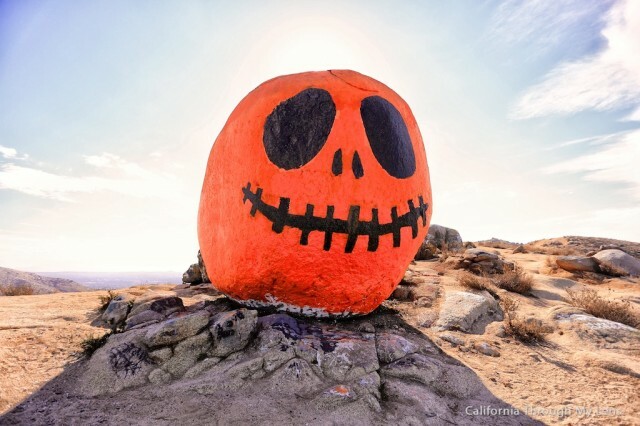 If you are looking for a festive hike in Southern California, right in time for Halloween, look no further than Pumpkin Rock. 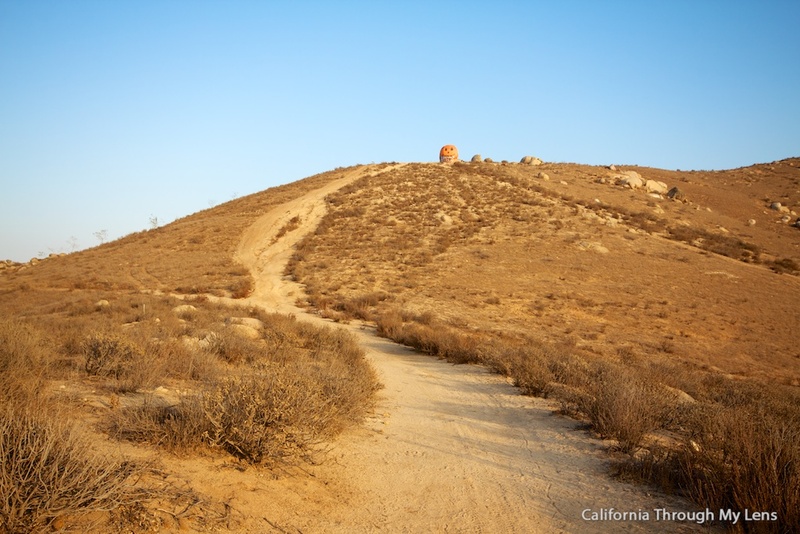 This massive rock sits on the top of the hill in Norco, and it has become a very popular spot for locals and visitors alike. During the month of October there is no hike more fun then this unique spot. Here’s all the info. 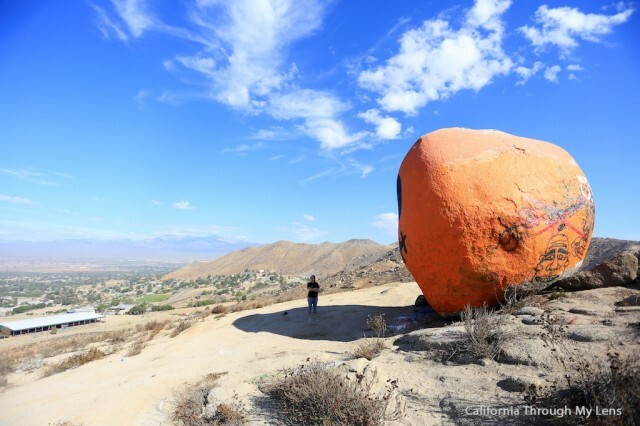 Pumpkin Rock is one of those places I went to just because I saw the rock while driving through the city of Norco. I am not even sure if this is the best way to get there, but I tried to drive as close as I could, and I parked near a trail heading up the mountain. Please make sure to check all of the signs though as you want to abide by them when parking. You can get directions to approximately where I started at the end of the post. From where I parked, I walked up the horse trail and started on the very steep trail up to the rock. After the first hill, the trail levels out and you can see both the rock and the last hill you must climb to get there. 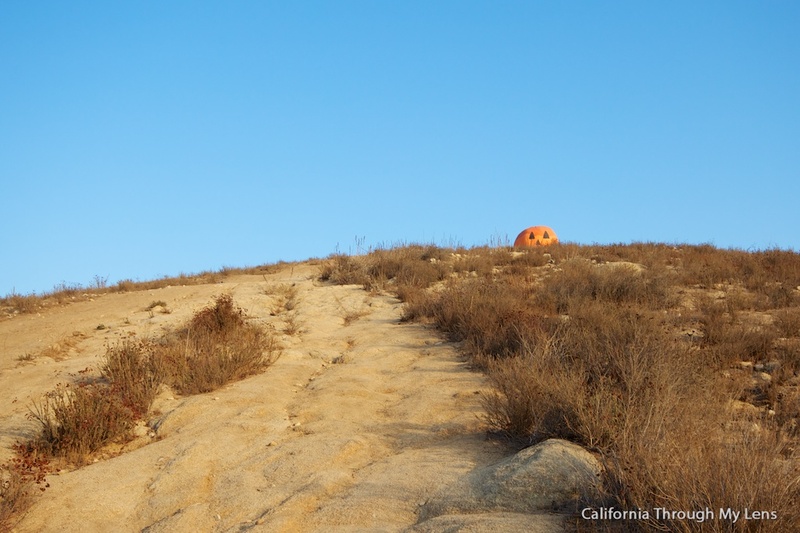 It is fun to see the rock from here as it is a beacon to the Halloween hiker. After pushing up the second hill, you will be right under the rock. I liked this picture of it staring at me over the hill! The rock itself is about 15 feet tall and is bigger than I expected. Depending on when you go, will decide how much graffiti is on the rock. During the year I have gone and seen it covered in graffiti, but during the Halloween season it is almost always clean. 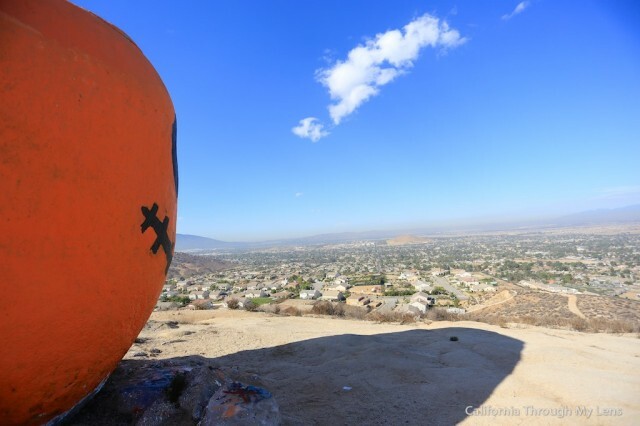 Pumpkin Rock is an excellent viewpoint for sunset and the surrounding city. It is surprising how far you can see when you are up here. 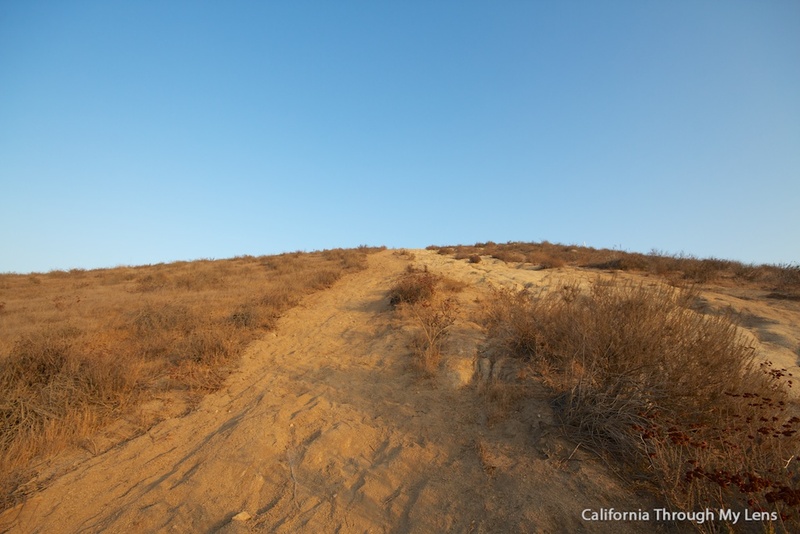 From up here there is a trail along the entire Norco Ridge if you are looking to add some miles to this short hike. I didn’t have time to do it on this trip but want to in the future. The views over the city are pretty beautiful, and when you have soaked it all in you simply walk down the steep way, you came up. 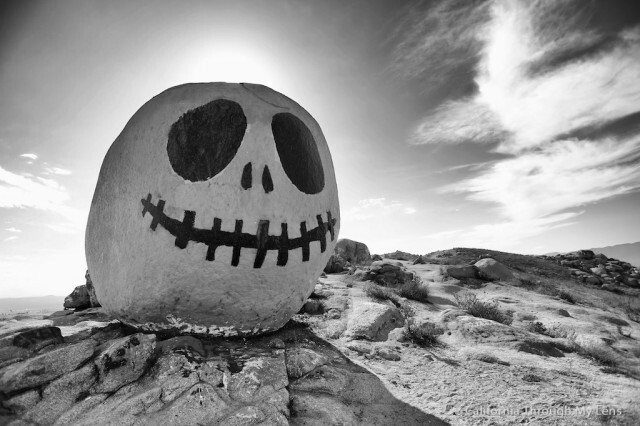 If you are looking for a fun hike in time for Halloween, be sure to check out the Pumpkin Rock. 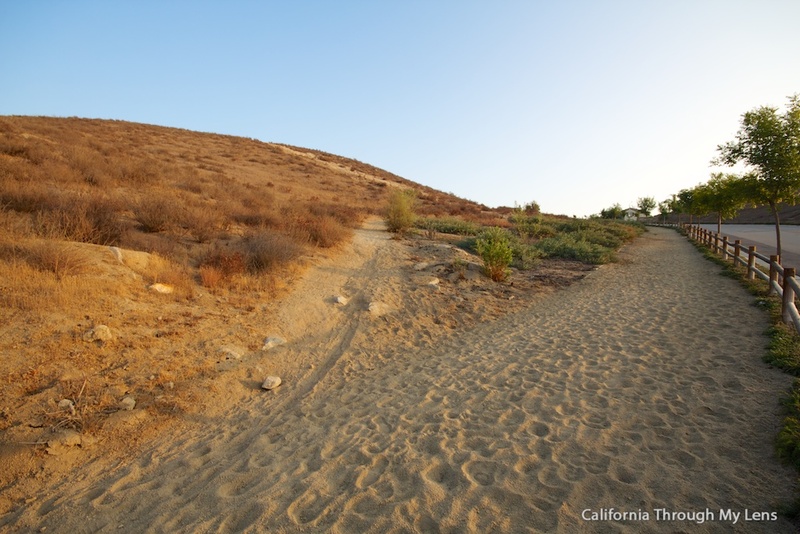 Just don’t travel super far for it as the trail is pretty short. 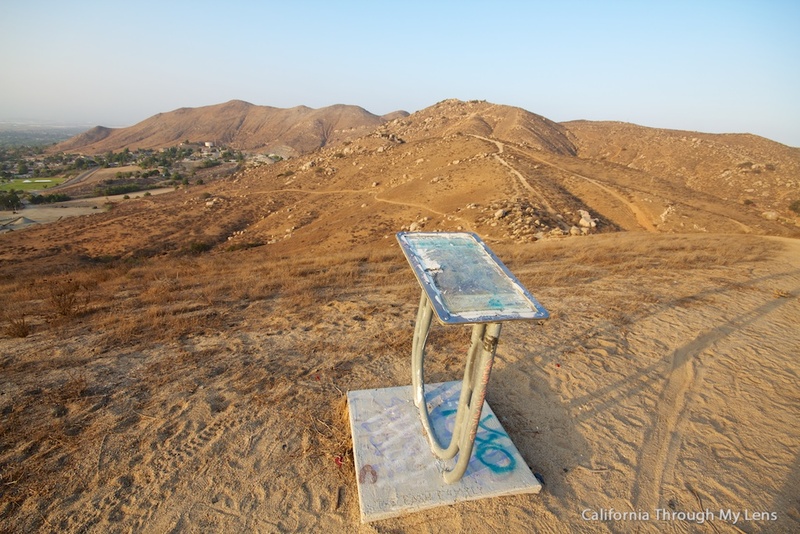 When you are up there, grab a piece of trash and pack it out as well, so all of the Halloween hikers have a beautiful place to relax. Feel free to leave me a comment below and get directions if you want to visit. Special thanks to Michael Van Veghten and Manuel Cruz for cleaning the pumpkin and keeping the graffiti off of it, their work is appreciated!